Prevuu provides an easy and intuitive way to present screen designs to your clients. Free 20 email credits available to feedback providers. 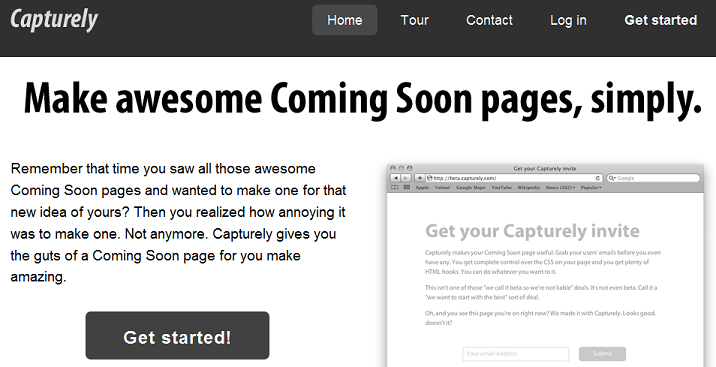 Validate your idea with a cool “Coming Soon” page. Collect emails before launch. Launch your website with users built in!